We continually add new features and enhancements to your software to support you work. Our challenge is to keep you, our customer, informed on all the new goodies so you can take advantage of every resource. The details of each release are shared in the ACEware Forum and monthly webinars are available to demonstrate new functionalities. Beginning with version .068, you have two shortcuts to the Forum conveniently located in Student Manager. You'll see a red New Features button on the task bar. When selected, you'll be taken to the Forum to discover what's new. The button turns grey after being selected. Also, within the Help Menu list, there is now a link to SM Updates Forum. When you want to return to the Forum to review new features, this is a quick and easy way to get there without needing to navigate to aceware.com. 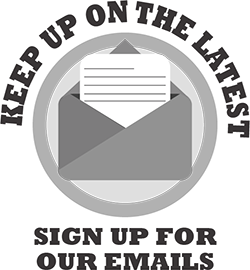 We hope you are subscribed to the Forum, have signed up to receive software update notifications by email, and are joining us monthly to see what's new. If you want more information about joining the Forum or signing up for update webinars, let us know. We're glad to help! Last month we announced our 2019 Users' Conference dates. We hope you set aside those dates to join us in Vegas! We're going to have an amazing conference. Tuesday, June 4, you can choose between two six-hour pre-conference sessions. The first will focus on Student Manager Report Writing and the second will be dedicated to ACEweb Essentials. Session descriptions will be available in November for you to identify who you will send. Registration fees for pre-conference events will be $300 single registration/$250 per person for a team (2 or more) when registrations are received before the end of the year. The 2.5 day conference will include sessions revealing new software features, demonstrating how to use the many available tools, sharing best practices, learning from colleagues, and networking. You are guaranteed to return home with ideas to put into practice immediately. It's time to begin to plan for your travel request. The earlier you register the better! To help you plan now, the registration fees are listed below. The fees you see are before your scholarship funds are applied. With a current support agreement, your organization has scholarship funds (up to $500) available to deduct from the total registration fee. Contact Carmel to find out the value of your scholarship. If you want an even greater discount- lead a session! Contact Sharon about presenting or facilitating a roundtable discussion. *Your scholarship is deducted from the total registration and before invoicing. Don't gamble with your registration expense. Plan your travel request and be prepared to register before the end of the year. Program information will be posted after Thanksgiving for those who are required to submit this with their travel request. Hotel information is now posted to the conference web site. Did you know that most ACEware customers have ACEweb Online Registration? With this 24/7 registrar, you can and should monitor the registrations coming through ACEweb. From any reporting area within Student Manager under Reports l Registrations, you can request Registration Created By and enter WWWEB and it will only return those registrations received online. From Reports | Accounting | Cashbox you can uncheck 'All Users' and double click WWWEB to determine the income received from online registrations. Knowing how registrations are received is valuable information and helps guide marketing strategies. The information is at your fingertips to share with your marketing team and the boss. If you are the boss, know this information is available in Student Manager! Have you sometimes wondered exactly how many registrations individual registrars are processing during open enrollment periods? Then you should check out the Regs X Creator-Summary. It's an effective management tool that gives you an exact tally of how many registrations each staff member entered in a specific timeframe. This report is found in the Deadbeat reporting area (and if you don't have a copy of Regs X Creator - Summary, contact your technician and they can help you get a copy of it!). Remember, you can easily access deadbeats with alt-d on your keyboard in student manager. Reports>Accounting>Special 1 Reg/1Line (Deadbeat)>Additional Reports. If you are looking for a specific week (say opening enrollment for semester) you could run the query on registration add date.